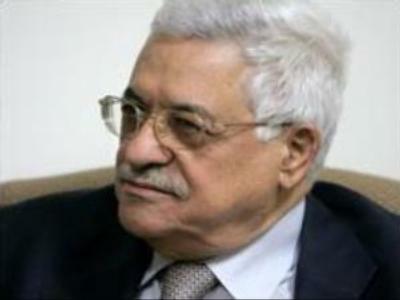 The Palestinian President, Mahmoud Abbas, has put off an address he was due to give about a new unity government. Officials say the delay is due to a dispute with Hamas. As well as ending factional violence, the new unity deal, brokered in Mecca last week, is an attempt to persuade the Quartet of Middle East peace negotiators to lift crippling economic sanctions, imposed after Hamas came to power in 2006. The U.S., Europe, the UN and Russia had been demanding the Palestinian government recognise Israel, renounce violence and accept interim peace deals. President Abbas believes the Saudi-brokered deal meets those requirements, and was expected to formally announce details to the nation before heading to Gaza and a meeting with Prime Minister Ismail Haniyeh. But that speech will now take place post-talks. It is because, Palestinian officials say, several unresolved issues regarding the new unity government still remain. The sticking points seem to be the naming of the interior minister and foreign minister – posts which Hamas would like to see filled by its own members. Another hurdle is the fate of the “executive” police force, the militia set up by Hamas last year in opposition to the president's demands. Fatah is pushing for the force to be broken up, while Hamas wants it to stay. Hamas says, only if these issues are resolved, will Prime Minister Haniyeh and his Cabinet step down, clearing the way for a broader government that includes Abbas' Fatah movement. Without the prime minister’s resignation, the unity government will not be formed which, in turn, could hinder efforts to revive long-stalled Middle-East peace talks.